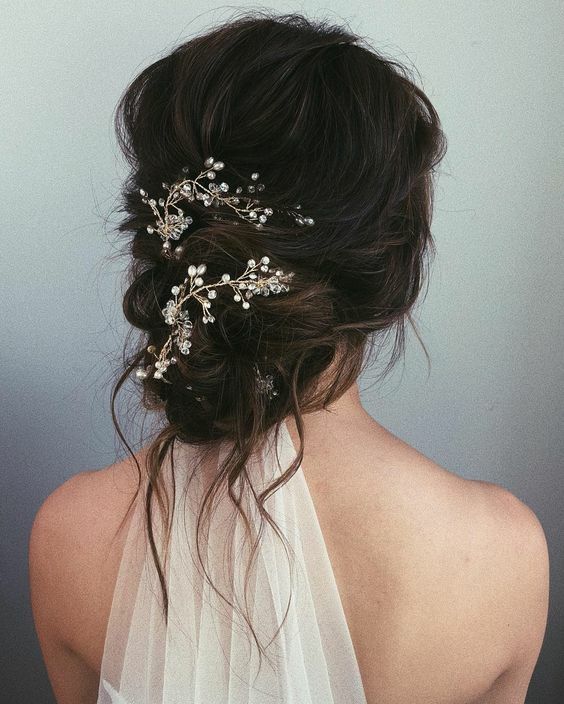 Pinterest is busy with bridal inspo at the moment and the most common fixture on people’s boards are messy bridal updos. The Pins for this more relaxed look sky rocketed by a whopping 1247% according to Pinterest’s 2018 Wedding Report. 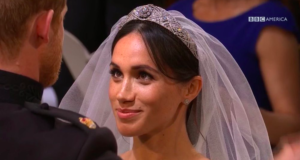 With the excitement of the Royal Wedding, summer brides are taking a massive inspiration from the new Ductchess of Sussex’s hair choice – the messy updo. Royal and celebrity stylist, Richard Ward tells Get the Gloss how to achieve the best messy updo for your big day. If you have a square shape face, Richard suggests a looser updo with loose face framing pieces to soften the angles of the face. This creates a stunning romantic look and giving you a more feminine vibe. If you have high cheek bones and a heart shaped face, your cheek bones can be accentuated by keeping hair off the face. For all the short hair brides, don’t feel like you can’t opt for this hair style. Tong hair first, regardless of length as this will add volume and texture which will make it easier to style. Your first trial should be at least two hours long as this will give you enough time with your stylist to discuss different looks and styles. Are you forever trying to grow your tresses longer and failing in the long term goal? Have you healthy hair, getting regular cuts but still end up with split ends and breakage? Would you be commited to starting a 90 day ‘program’ in where your hair will see *99% less breakage and leave you with 78% less split ends?? Then Kerastase’s new Extentioniste range is your holy grail!! Created to enhance and reinforce the length of damaged hair, this range works deep with the hair fibre to protect and repair. *Guaranteeing less breakage and split ends in no time, follow our steps below to strong, long hair! Step 1; This hair care routine begins in-salon – *in order to achieve these amazing results a high concentrate restoring treatment must first be applied to your lengths and ends by your hair professional. Involving a mixture of two intensely packed Extentioniste boosters filled with strengthening and fortifying properties. Let us work our magic with this wonderful treatment before applying the finishing touch, by using the strengthening scalp and hair serum which targets the hair from the root – heightening protection from all areas. Step 2; Home care – Continue to develop the results of this treatment yourself at home by sticking to your hair care routine. Think of it like a work out program for your hair – the longer you treat and condition it, the stronger, longer and unbreakable it will become!! Call now to book your appointment on 01 671 93 53 or book online here. Replenish your home care products here. With the arrival of the new O.P.I ProSpa products to Dylan Bradhsaw we have decided to revamp our maincure & pedicure options to suit all your needs! Kick back, relax and unwind with these irresistable services! In a rush, but still need a quick way to destress? The OPI ProSpa express manicure is perfect for you! 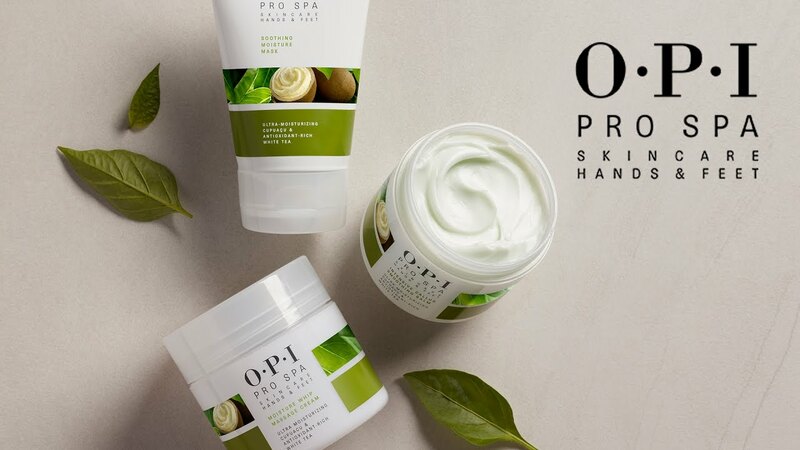 Featuring essential OPI ProSpa products and techniques in a condensed service that does not sacrifice on a premiere experience. Includes; shaping, buffing, cuticle work, hand massage and polish. Known as the “Can’t Live Without It” OPI ProSpa signature manicure. Soothe, relax and indulge with this ultimate treatment. The crѐme de la crѐme of manicures, you will experience the quintessential ProSpa products through unparalleled exfoliation, moisturising and protection while revelling in a combination of massage techniques and acupressure designed to reduce stress and relieve tension. This signature experience puts the “Ahhh” back in Spa. Includes; shaping, buffing, cuticle tidy, exfoliation, mask, hand massage and polish. Experience a new standard in pedicure services! Quick, effective and oh-so relaxing the OPI ProSpa express pedicure will provide a relaxing spa pedicure experience without infringing on your busy schedule. Includes soak, callus softening, shaping, buffing, cuticle tidy, massage and polish. Relax and feel pampered with the ultimate pedicure experience. The pamper pedicure includes callus softening, exfoliation, moisturising and protection. An extended massage combined with acupressure to reduce stress and relieve tension which will leave you feeling relaxed and renewed. Includes soak, callus softening, shaping, buffing, cuticle tidy, exfoliation, mask, massage and polish. *Don’t forget to bring along your flip flops! Call now to book in with our nail team at 01 671 93 53 or by clicking here. Summer is officially here! 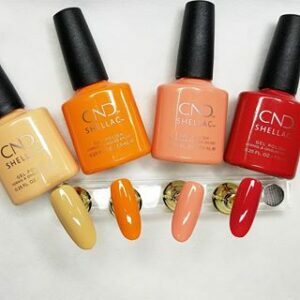 The new CND Shellac collection are the perfect shades for the modern tribe which lasts up to 14 days of high-performance wear. Check out the ‘Boho Spirit’ Collection. These warm shades are perfect for the summer, from festivals to pool parties you nails will be summer ready all the time. Try out the new colours at Dylan Bradshaw Nail Bar. Book your appointment here. Kerastase have recently relaunched Aura Botanica and it’s now better than ever! With all the same wonders of the Original Aura Botanica range with it’s natural ingredients and its perfected formulation to care for natural hair with minimal damage – the new formula now caters for coloured hair too. YES!!! All you lovely vegans out there who colour your hair (with organic colour of course..) Aura Botanica is now on your radar too! If your old or new to the magic of Aura Botanic, let’s give you the low down on this amazing range anyhow.. 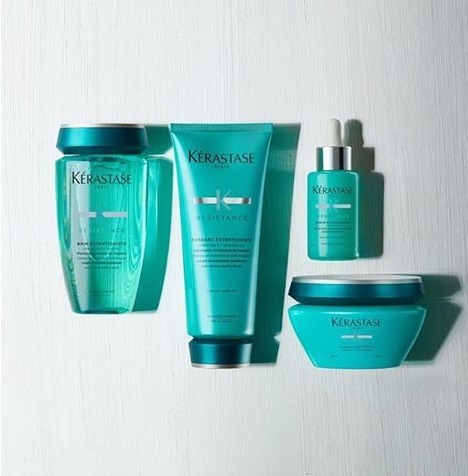 This Kerastase range targets dull, devitalised hair. With no silicones or sulfates, containing all natural origin ingredients. This collection will leave your hair looking 3x shinier, with 72 hours anti frizz and 48 hours of durable nutrition whilst feeling natural to touch. It’s 96% natural with the other 4% contributing to fragrance and preservatives …I don’t think that’s too bad for a product as lovely as this one! Samoan Coconut Oil to provide durablity and shine, contributing to the softness of the hair by locking in moisture. Amazonian Brazil Nut Oil to protect nutrition whilst not weighing hair down. Thai Rice Bran Oil which is full of vitamins and anti-oxidants. Mexican Aloe Extract offers defense against external aggressors by coating and hydrating the fibers of the hair. Amazonian Murumuru Butter which has an ability to make curly hair extremely manageable. Paraguayan Sugar helps to add body & texture leaving a soft feel and shiny look. Morrocan Argan Oil which contains Omega 6 & 9 pentrating deep into the hair and moisturising from within. Get your Aura Botanica stock from us now by stopping by our boutique salon at 56 South William Street or order online here. 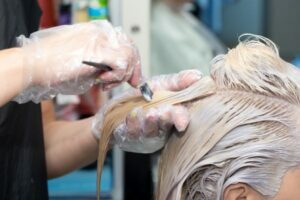 Toners are an important step in the hair colouring process. Check out why it’s so important and how you can achieve your perfect colour. Contrary to popular belief, bleach is not a colour. All bleach does is take the colour and pigment out of your hair. The professional term for bleach is “pre-lightener” which basically just strips away colour without adding any colour. Your colour actually comes from the final step which is toning! For example, take blondes, the cooler the tone the more silvery it comes out and the warmer the tone the more coppery you get. It’s not just for blondes! Toners aren’t just for blondes! It’s essential brunettes and red heads get toners for added gloss and shine as well as achieving a certain shade. 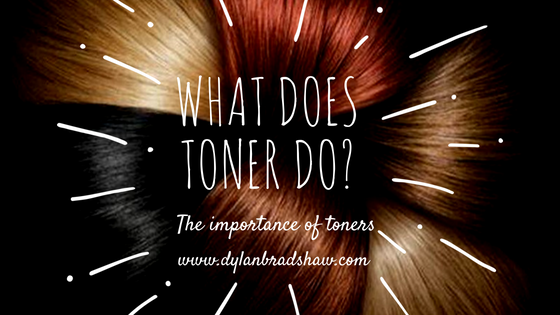 Toner doesn’t last long which is why your colour fades. Depending on your hair type, toners can last from 2 weeks to 6 weeks. Usually, previously coloured hair which is more porous will hold colour for less time than natural or “virgin hair” which can hold colour for up to 6 weeks! Acid based toners cann add shine to natural hair and won’t affect the colour. It gives a super glosssy, varnish like effect. This is known as glossing. Come in to the Salon and ask our stylists what’s the right tone for you! Book here. 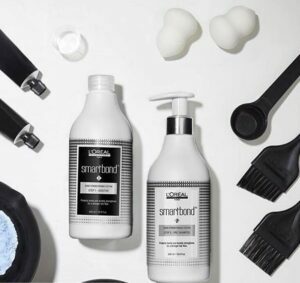 Smartbond is L’oreal’s new hair service that protects bonds for stronger hair fiber during lightening sessions. Thinking of going blonde? You’re going to want to read all about this! From input from hairdressers, L’oreal’s Research and Innovation Department used its 100 years of scientific expertise and long-standing knowledge in high-performance hair care to create smart bond. Damage by extensive colouring or lightening the hair. Bonds in the hair weakening from oxidation. Bonds in the hair can’t reform because the ions have been damaged. Targets the weaker parts of the hair bond to strengthen and limit stress to keep the bond together. Colour will take more evenly as it will improve the overall finish of your hair. Reverse the feel of damaged hair by reconstructing the weak ion bonds. Will it affect my colour? Smartbond is added to your colour when mixed and applied as normal. The colour is processed for the usual time. When the colour is ready to come off the hair is rinsed without shampoo and towel dried. Smartbond is applied as a pre-shampoo all over and left on for 10 minutes. This is then rinsed and shampoo and conditioner is applied as normal. It is an additional service which costs €30 on top of your colour service. In order to maintain healthy locks the conditioner to take home is €20 and should be used once a week to protect the bonds. 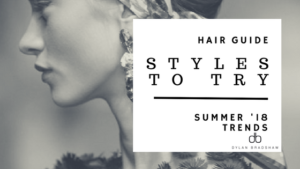 Care for your Hair this Summer! We all know it is extremely important to wear SPF ..all the time, not just in hot weather..(of course!) so why neglect your hair when your sunning yourself this summer? 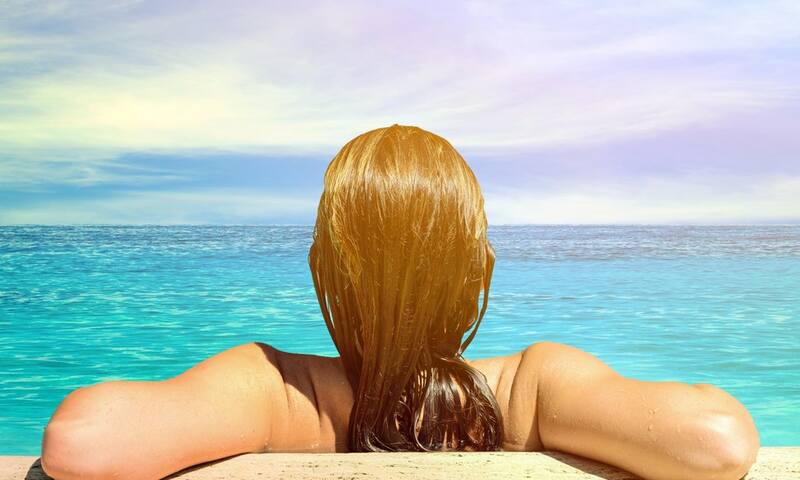 Just like our skin, our hair can suffer extreme damage from the sun’s UV rays especially when battling other aggressions like salt water, chlorinated water and the usual 100 times you run your straighteners over that one piece at the front so it sits just how you like it! 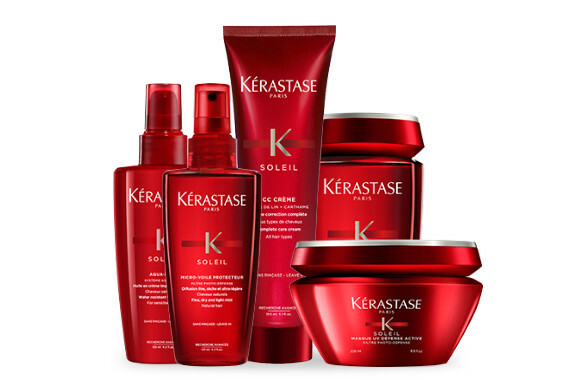 Treat your hair well this year by caring for it with the Kerastase Soleil Range. Ideal for the holiday season. Targeting all types of hair which are exposed to UV rays from the sun, causing alteration of colour, may be difficult to detangle or has become damaged or sensitised. This hair care collection will leave hair feeling nourished, soft and shiny as it compensates for the drying effects that the hair is experiencing. Bain Soleil – An anti-damaging shampoo, contains UV filters. Protects repairs and beautifies by adding moisture and softness. Hair will feel nourished, shinier and detangled. CC Crème Soleil – Leave in beautifying cream, contains ceramadies, UV filters and linseed oil. Simply apply this cream to towel dried hair, before or after sun exposure. Masque UV Défence Active – Intense Nourishing Masque with UV filters. Apply to washed and towel dried hair on mid-lengths and ends. Leave for 5-10 minutes and rinse leaving hair protected and more resistant. Soleil Aqua-Seal – A highly protective fluid cream with a waterproof effect for very sensitised hair. Apply before exposure to sun and water by sealing the hair fibre with a protective layer. Micro-Voile Protecteur – Leave in spray to protect against sun, salt and chlorinated water. A dry, fine, light mist which is non greasy leaving hair feeling natural to touch. For use before or after sun exposure on dry or towel dried hair. Spray from root to tip and re-apply after swimming. Get your sun protection now by visiting us at 56 South William Street, Dublin 2 or buy online at our online boutique. Is your hair feeling sad? Like even though you visit your stylist on a regular schedule, you come away feeling your hair could still be happier? Kerastase’s Fusio-Dose is your answer! Fusio-Dose is a completely personalised high performance hair treatment which takes instant action and has immediate visible results. Forming 20 different combinations of revitalising hair saviours, you’ll never look back. The range consists of a choice of 4 concentrates; These contain powerful active ingredients for your primary hair care need. 1. Oleo-Fusion Concentre – for Dry Hair; Adding deep nutrition, softness and shine. 2. Pixelist Concentre – for Coloured Hair; Adding shine, luminousity and protects colour. 3. Vita-Ciment Concentre – for Weakened Hair; Adding resistancy, reconstructing and restoring hair. 4. Densifique Concentre – for Thinning Hair; Adding texture and density to hair. And 5 boosters; Which are concentrated care formulas and look after your secondary hair care need. 1. Nourishment Booster – for Dry Hair; Gives 3x times nourishment and contains an anti-drying action. 2. Radiance Booster – for Coloured Hair; Gives 5x more radiance and locks in colour. 3. Reinforcing Booster – for Weekend Hair; Provides instant vitality and 50% less breakage when blow drying. 4. Densifying Booster – for Thinning Hair; Adds instant texture and gives more bouncce and body to the fibres of the hair. 5. Managability Booster – for Unruly Hair; Supplies 72 hours of anti frizz protection and leaves hair instantly smoother and more manageable. After having a thorough consultation with your hairdresser and determining what your primary and secondary hair care needs are; your hairdresser will select the appropriate concentrate and booster and mix these together to create your personally prescribed hair fix. No matter what your problem, this treatment has the solution and will leave your hair feeling healthier for weeks. It’s a hair care beauty “shot” which will suit the woman on-the-go who wants wants healthier hair, with no extra time in salon. No need to sit and wait for this treatment to absorb in the hair, you simpy apply it and rinse off. At Dylan Bradshaw you Fusio-Dose In-Salon Treatment is available for only €20. 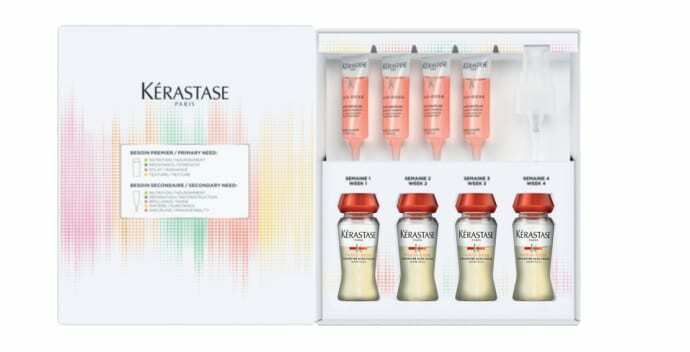 Kerastase have released a Fusio-Dose fix for take home care – The ‘HomeLab Kit’. If you are a converted user of Fusio-Dose and already know your personal prescription, this will be a wonderful addition to your hair care routine at home. The kit contains 4 applications of the treatment; 4 concentrates and 4 boosters. The fun part is that you get to mix up the treatment yourself at home and watch it active instantly before applying. At Dylan Bradshaw, you can take home your Fusio-Dose HomeLab Kit for only €50. Drop in to see our team at 56 South William Street, Dublin 2 to transform your hair now! With festivals and pool parties just around the corner, we thought we’d give you some hair inspo for Summer 2018! From braids to up-dos to beachy waves, these looks will have you ready from hanging with friends in the local to frolicking in the beach! Now the most important question… which one to try first? We love this look for the festival season! It’ll keep your hair out of your face while you dance the night away. Add some glitter in the split and BAM! You’re a festival goddess. Another bonus about this cute hairstyle is if you are camping at a festival it’s perfect to hide greasy hair! So it’s a definite win-win! Whether you’re roaming the streets of Paris or chilling out by the pool, this handy accessory is not only a cute addition to your outfit but it can protect your hair from the sun! With so many ways to style, you can spend all summer with many quirky looks! Use it to tie around your ponytail or wrap around your head for that instant retro feel! If you are chilling by the beach this hairstyle will be easy to achieve! From the natural sea salt to the wind styling your hair, you’ll be a boho goddess! If like some you’re not near the beach, opt for a sea salt spray to add the texture without the sand! Our pick is the Rahua Beauty Enchanted Sea Salt Spray – this gorgeous spray smells just like the beach and it adds texture to give you that beachy vibe! A few spritz here and there can really transport you. Buy here. We all mastered the art of the Hun bun but this festival season why not try Space Buns? Add some glitter for extra glam and you’re ready to hit the main stage! Go for simple buns or style it with braids – this look can be for beginners or pros. Make it what you wish! The 90’s are back and if you’re not bold enough to try crimped hair then this is the perfect way to dip into the comeback trend! From celebs to the runway, everyone loves this nostalgic look. Tie it up high or half up and half down with a cute scrunchie and you’re bang on trend! So what are you waiting for? Test out these hot trends for summer! Book online here.